People travel overseas for dentistry for a number of reasons. Some think that dentistry abroad is more advanced, while others simply do it to make the most of their vacation. The majority, though, hope to find cheaper options. In actual fact, this can be one of the most expensive and worst decisions of their lives. With little knowledge of what awaits them in a foreign land, their heartening journey can quickly turn into a dental nightmare. Even after doing some really thorough research about overseas dentistry options, there’s still a considerable chance that things can go wrong halfway through the process, especially because you are leaving your dental health in the hands of people you don’t fully know. The practitioners who will treat you may turn out not what they claim to be on their website. They might even be unqualified to perform your treatment and have poor standards of infection control. There had been many cases where a patient had to be taken to a hospital to receive intensive care due to a dentist’s mistake, which resulted from language barrier or poor workmanship. Some dental practices abroad don’t even have recourse to authorities or legal avenues for compensation if things go wrong. You don’t want to be associated with those kinds of practitioners. In fact, never consider putting yourself in a situation full of those overseas dentistry risks. What are the alternatives to going overseas if I can’t afford treatment? Often dental treatment can be extended over a longer time-frame to allow people to still access an ideal outcome without breaking the bank. Many dental practices, such as Foundation Dental Services, also have access to payment plans specifically tailored for dental treatment. They strongly recommend seeking out one or two opinions and quotes in Australia rather than considering dental treatment overseas. 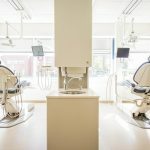 What should I tell my friends who are thinking of going overseas for dentistry? The easiest answer is DON’T DO IT. Not only is it dangerous but the perceived savings just don’t stack up with the risks. Gambling with your health – the most precious asset you have – is an irresponsible move. Plus, there’s no telling how long they will be on leave from work. Spending huge sums of money for a risky trip while losing money every day they are outside the workplace? It’s clearly not worth it. Advising you and your friends to not take the risk of going abroad for dentistry doesn’t mean nothing can go wrong if you choose to get your treatment here. We all know that not all dental practices are the same. Some may not perform as effectively as established ones, which is why you still have to be very careful when choosing your dentist. Make sure that the dentist specialises in the specific treatment you need and that has a significant amount of experience in handling patients like you. At least that’s all you have to worry about.